Xit and Okno were in trouble. What had started off as an off-the-books assassination job for the local devilworshipping shopkeeper had somehow spiralled into a madcap scheme involving kobold mech-suits and a battle with a dragon – a young one, to be sure, but a dragon nonetheless. 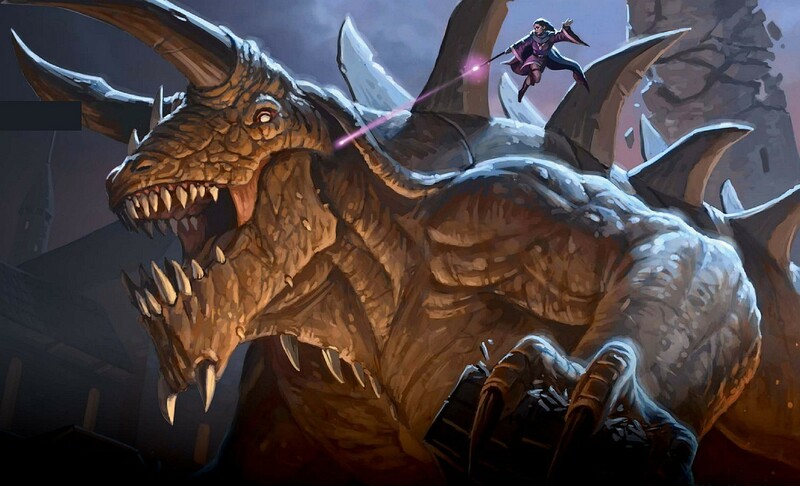 Against all odds the duo managed to bring down their scaly foe, but even in their moment of victory they could hear dozens of clawed kobold feet bearing down on them. Both were badly injured and pretty sure that the clan wouldn’t be too happy with all the death and destruction they’d brought to their home.